We searched the world over for the best image processing computer. 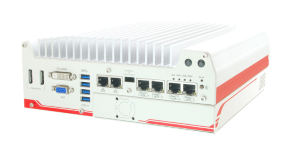 What do we mean by “best?” We wanted it all, including: An industrial design free of moving parts, support for Power-over-Ethernet cameras and USB3 cameras, a CPU that can handle multiple cameras with high frame rates, a PCIe slot for additional cameras or I/O, a wide temperature range, and optional integrated discrete 24VDC I/O. Of course it had to be price competitive. Meet the CRNS360! It isn’t hard to build a consumer-grade “gaming” computer. But building a fanless system that can handle industrial environments is another matter altogether. The Neousys design puts the CPU right up against the large external heat sink. It can handle 50 degrees C, even with its 5th generation Skylake i7 CPU under full load. The CRNS360 has six Gigabit Ethernet ports. Four of those ports can deliver Power-over-Ethernet, so cameras and other devices can be powered without pulling additional cables or purchasing external power supplies. To maximize bandwith, five ports have independent Intel I210 controllers, with the sixth having an I219 controller. All ports support jumbo packets to keep CPU interrupts to a minimum. The I210 controller is supported by the Basler Pylon Performance Driver (version 4.1.0 and newer) to further enhance imaging performance. Alternate configurations are available for volume customers. 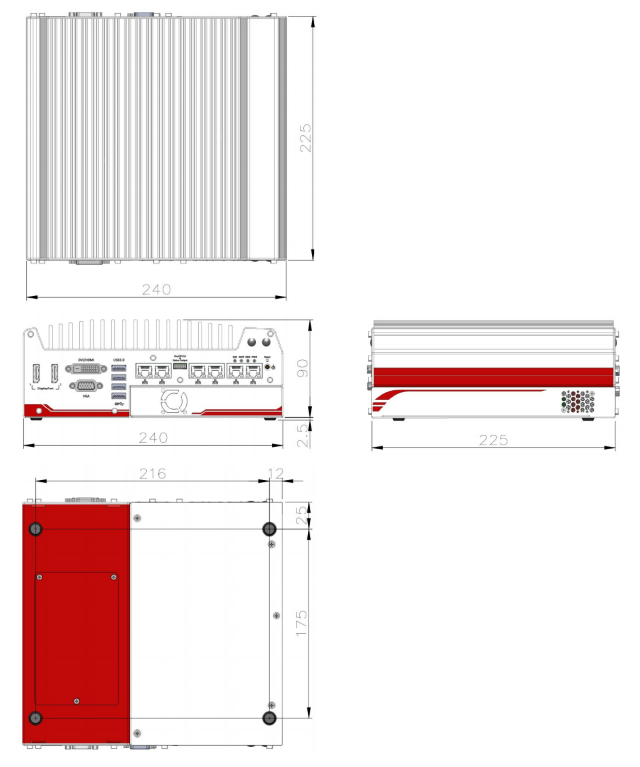 Suggested accessories include power supply, DIN rail mount, I/O cable and I/O termination board. Operating System Configured with Microsoft Windows 10 Enterprise 64-bit; Factory has also tested Win 7 32, Win 7 64, Win 8.1 64, OpenSUSE 42.1, Fedora 23, Ubuntu 14.04.4 LTS and 16.04 LTS, Debian 8.3.